Houston, Texas – July 10, 2017 – Life after college for many is a time of self-exploration. It’s the first time in their life they are facing an adult reality that’s made of where they want to be and where they have to be. Houston-based emcee Travis M explores that on his upcoming release, Meanwhile. He takes listeners on a journey through the duality of his reality like no other. Writing songs since the fourth grade, Travis M. has always had a fascination for music and come high school knew it was time to try and make something out of his then hobby. He started getting on stages around Houston, but when it came time to head off to college he had to put things on a sort of pause for awhile, but he soon learned that he had to hit play. Going from Houston to a small town in Louisiana for school allowed him to focus on not only his education, but his craft as an artist; a poet. Travis M. built up his cred with his peers at his university and neighboring ones as well. Finally graduation came in May 2016 and with that, the real world filled with 9-5 jobs. Meanwhile dives deep into what it means for an artist to struggle between working a life to make rent, and working towards a creative career all at the same time. Heard in singles like “Mine” and “Reality Check,” listeners can get the full picture when Meanwhile drops July 21, 2017. Those interested in hearing more from Travis M., adding either or both singles to their playlists, reviewing Meanwhile or interviewing Travis M. can get in touch via the information provided below. 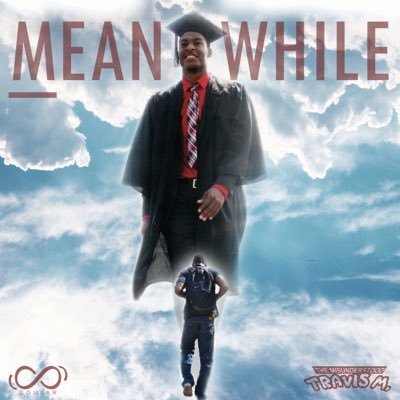 Travis M. is a Houston-based hip hop artist comparable to Kanye West and Common, dropping his latest release, Meanwhile, July 21, 2017.